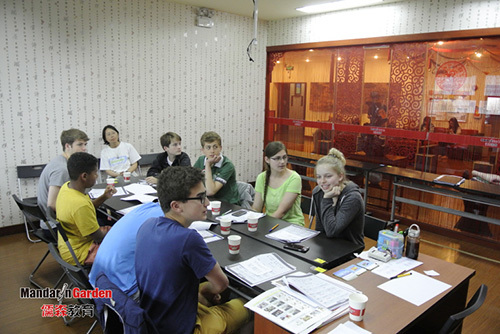 HSK is a recognition for foreigners’ Chinese ability. Now many foreigners started learning Chinese to development in China,one is for the convenience of living in China, the second is to work. Now more and more foreigners work in Chinese enterprises, it will produce a lot of the language problem. So many companies require employees must have basic Chinese language level. Overseas student enter themselves for an examination in colleges and universities, course selection, undergraduate degree courses, the credits, enters a higher school, domestic foreign workers seeking jobs, training, promotion, all need to attend the HSK. There are a large part of foreign friends for the love of Chinese Confucian culture and the Chinese characters, take the opportunity to learn and understand the history of China customs. Foreign students pass level 4 in China, the study and communication of life will be more easily. In addition, to get your Chinese language level certificate, have more chances of getting a job. In Turkmenistan, holding the HSK level 4 certificate, can increase the wages of $500 a month in some company that trade with China. Whether have HSK certificate, is a companies of some countries,such as Europe and South Korea an important reference standard. HSK is propellant for foreigners to have development in China, when you enter a business, you can speak Chinese then your mind will make it easier to play out, let the boss approved you and prove your worth. Mandaringarden will help you find a better future, and better yourself in China.